Studio Pottery is one of those very collectible ceramics that most of the general public simply pass by. Studio Pottery marks are a little hard to define and the name, Studio Pottery, is a term that associates ceramics with little known independently owned potteries. Those independent potteries that don’t have the machinery, the manpower or even the wish to produce in bulk. They want to focus their efforts more on stylish individual hand made ceramics. And, like the pots the artists produce, Studio Pottery marks can be quite individual and quite hard to uncover or relate to potters working in out of the way places. 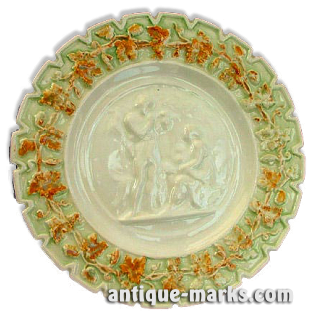 Likewise, the simplistic looking naturalistic decoration can often be viewed as the opposite of the very attractive colourful decoration produced by the decorative arts factories like Doulton, Derby and Worcester. So, your everyday buyer or ceramics collector will often walk right by. It really can take a keen eye to appreciate the beauty in Studio pottery’s simple lines. And to discover and then research and uncover who the potter was and where or when a pot was thrown. Studio Pottery first showed itself in the late 1800’s but it wasn’t until after WWII that it grew popular. Early notable potters include Bernard Leach and his partner Shoji Hamada as well as Lucie Rie and Hans Coper. Today pieces by any of these potters command high prices that can be prohibitively expensive for the keen collector. But if the collector skews their focus slightly they could collect work by lesser named students who studied under the great names, and uncover good Studio pieces that will prove to be a very wise investment. Studio Pottery marks or seals are attached to pots that demonstrate an artists skill in producing varied glazes, hand thrown naturalistic shapes and artful decoration. 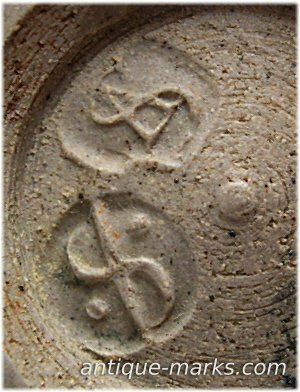 The seals or marks are usually but not always impressed marks but potters were and are inconsistent when it comes to adding marks. 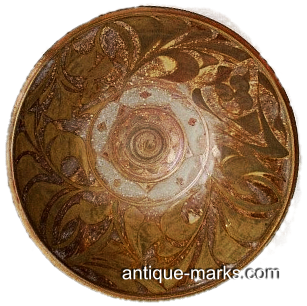 Some potters also use some very similar Studio Pottery marks. 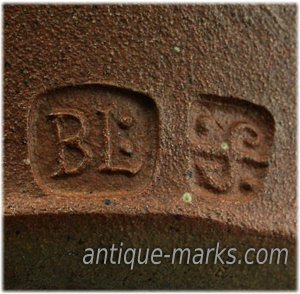 Shoji Hamada never marked his work, except during his time with Leach Pottery (1920 to 1923) when it bears his sealmark alongside the Leach Pottery mark. Micheal Cardew used around eight separate marks during his potting career. A different mark for each pottery he worked with, including Winchcombe, Wenford Bridge and Volta potteries. 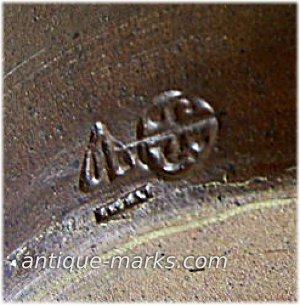 The Martin Brothers pottery used a range of impressed marks signed R Martin but they are also dependent on where their studio was and the date. 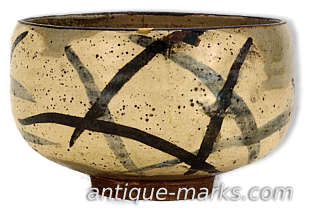 Lucie Rie used various painted and impressed marks on her studio pottery, including an early painted mark that includes WIEN, incised, brushed and impressed marks in the 1940’s and various impressed marks on later pots. 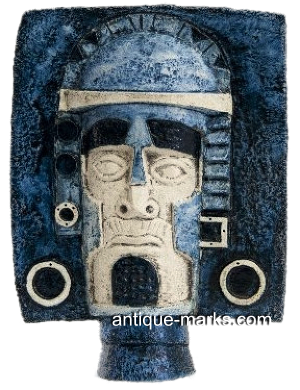 So, the novice Studio Pottery collector would be well advised to focus on a distinct type of pottery, a particular artist or possibly even a relatively narrow period of time. To try to collect or become knowledgeable in all aspects of studio pottery or all artists would be a massive undertaking. Rather the pottery collector should try to build a good reference library that they can turn to often to quickly find the studio pottery mark and the artist. Using the reference materials to research potential purchases is key. Never buy before you research unless you know what you are buying, or you fancy taking a gamble on something you feel is rather special or is priced well. A good reference book to start with would be; British Studio Ceramics by Paul Rice. 256 pages on Studio Pottery and a great section on potters marks. Published by The Crowood Press Ltd.
Bernard Leach was a studio potter and designer. He was born in Hong Kong in 1887. He moved to England and studied design at the Slade School of Fine Art from 1903 to 1907 and at the London School of Art, where he studied etching under Frank Brangwyn. He returned to Hong Kong in 1909 and moved to Tokyo, Japan in 1911, where he studied the works of Oriental potters. 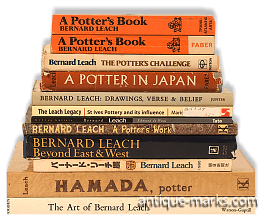 After discovering pottery at a Raku tea party, Leach built a Kiln in his house and proceeded to learn all he could about stoneware pottery from Ogata Konzan the Sixth Konzan. Bernard Leach eventually became part of the Seventh Konzan. The Konzan style used flowers and grasses that resonated with the classical imagery in Japanese poetry. Its designs featured plum, bamboo, chrysanthemum, pampas grass, bush clover, camellia and iris. Bernard Leach’s studio pieces are mainly in stoneware and porcelain, using Japanese calligraphy and brushwork to enhance the decoration. Ogata Kenzan (1663 to 1743) created Kenzan ceramics by matching shapes to decoration and producing beautifully natural motifs. Kenzan decoration has a pleasing flatness to it. 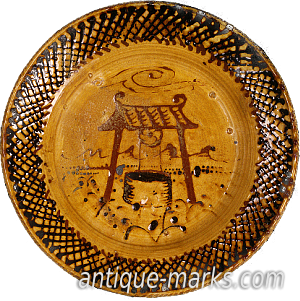 Kenzan ceramics are revered in Japan and Bernard Leach worked in the Kenzan tradition. His brushwork was good because he was trained in art and to draw before he became a potter. Bernard Leach returned to England sometime around 1920. He built his own wood-burning kiln and began designing, throwing and producing studio pottery at the home he set up in Cornwall. Founding the St. Ives pottery shortly afterwards. The St Ives pottery produced many utilitarian domestic wares but the important pieces were individual rather than mass produced, and artfully demonstrated originality in design. Bernard Leach believed that a pot should show the work of the potter, from beginning to the end result. He taught his craft to a number of students including M Cardew, David and Margaret Leach and Shoji Hamada. He also published his own books on studio pottery, entitled A Potters Outlook in 1928 and A Potters Book in 1940. 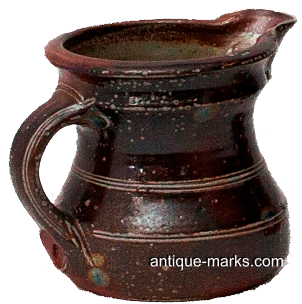 Bernard Leach pottery is highly sought after … if you choose to focus on his work, make sure you have deep pockets.